In an earlier post (To work or not to work after 65? Do we really have a choice? ), we looked at some of the reasons why older workers would want to continue working after reaching retirement age. Unfortunately, once we reach 50, the chances of getting a decent job are slim. 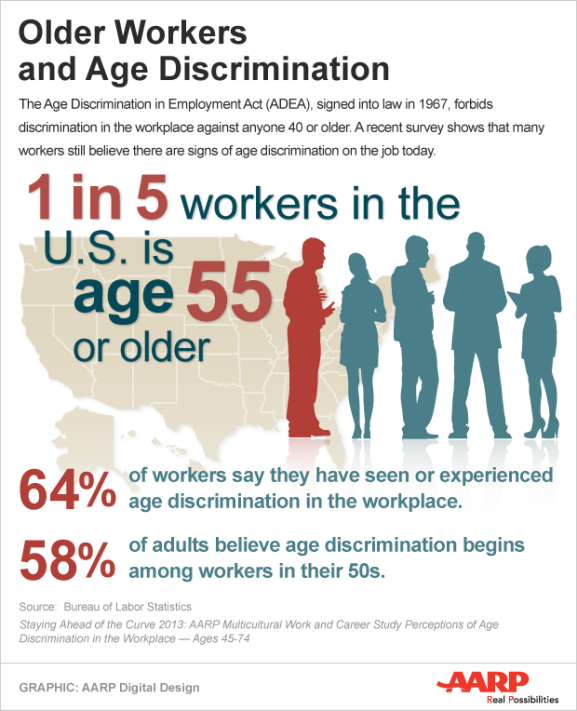 Whether we want to admit it or not, age discrimination does exist in the work-place. 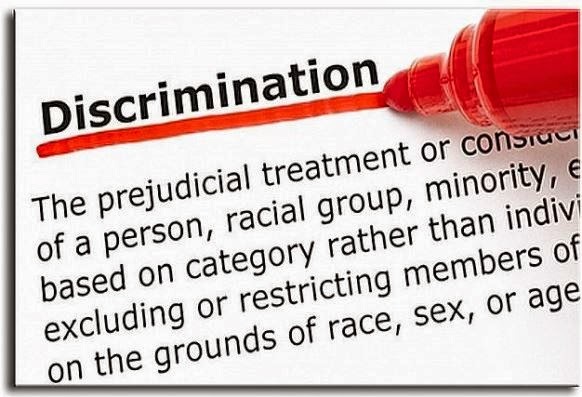 Employers will give 101 reasons why they can't or won't hire you if you are on the wrong side of 50. They say older workers are too expensive, older workers take too many days off on medical leave, older workers are not as productive as younger ones. etc. 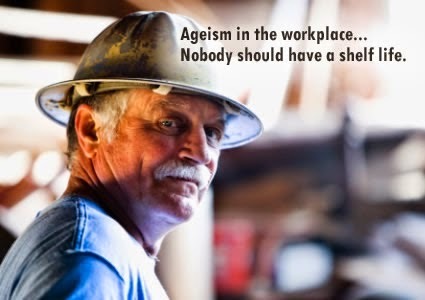 Often these are mere excuses for what ageism in the job market. Discrimination against older workers exists not only in the US, but also in Asia. Unless the government steps in with legislation making it mandatory to offer re-employment to retired workers, it is a challenge for older adults to find work in a competitive job market. Singapore came up with the Tripartite Alliance in 2006, with guidelines for employers, employees and the general public. Hopefully more countries will adopt a similar approach to help older folks seeking employment to support themselves and their family. Here's an excerpt from the background to the Tripartite Guidelines to the re-employment of older employees. To read more, click here. "An ageing population is not only a challenge, it also presents an opportunity. Age need not be a barrier to employment. Equipped with the right skills and expertise, older workers are a valuable source of manpower. Employers can benefit from having an age-diverse workforce, where mature workers with the requisite experience and skills are able to contribute productively in their jobs. At the same time, in view of rising life expectancy, workers also need to remain in the workforce longer to ensure their retirement adequacy." With many developed countries experiencing declining birth rates and declining mortality rate, companies will soon have to face the inevitable. The young working population is shrinking. Companies will have no choice but to draw on older workers for their staff recruitment. It's already happening in Singapore in both the public and private sectors, from top senior positions to the rank and file. 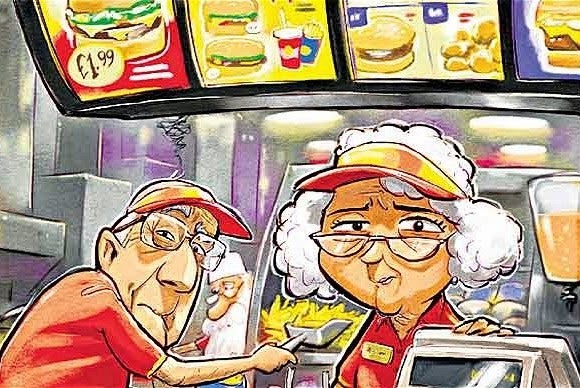 Don't be surprised one day to be served by a grandma or a grandpa at McDonald's, or have a grey-haired official assisting you at the MRT station or Changi airport.